Cartoons at Second City! Yay! Thank you, Second City, for once again offering Steven Fischer’s guide to Creating Cartoon Stories. Bring your story ideas to life in cartoons. We’ll explore the creative process, cartoon drawing fundamentals, character development, and more! 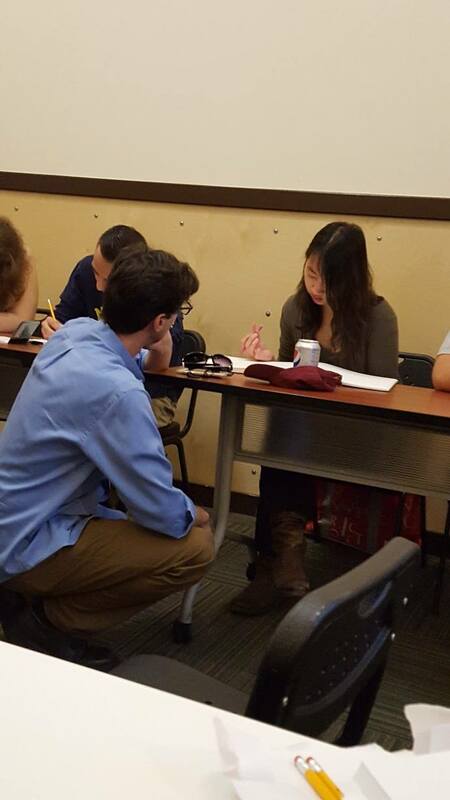 In-class writing and drawing exercises help you discover new possibilities in developing and expressing your ideas and point of view. These exercises help you generate the ideas for your own original, personal story. No experience necessary. If you can make a stick figure, you can get started! Participants will receive a copy of Steven’s book The Wonderful, Happy, Cartoony World of Steve & Bluey. About the instructor: Steven Fischer is a two-time Emmy® nominated writer/producer/digital cinematographer of fiction, non-fiction, and animated stories. His credits include the films Freedom Dance (2007) featuring Mariska Hargitay and Old School New School (2010) with Brian Cox. His commissioned work includes Martin Scorsese’s NEH Jefferson Lecture, Keep the Promise with Margaret Cho and Tavis Smiley, among various films for Maryland Public Television/PBS, Romanian Television Network, TV Asia, Nextel, DuPont, Nalco/Ecolabs, Department of Defense, AmeriCorps, Hollywood Stars II, and National Foundation for Advancement in the Arts. Fischer is a Fulbright recipient and speaks internationally on storytelling. 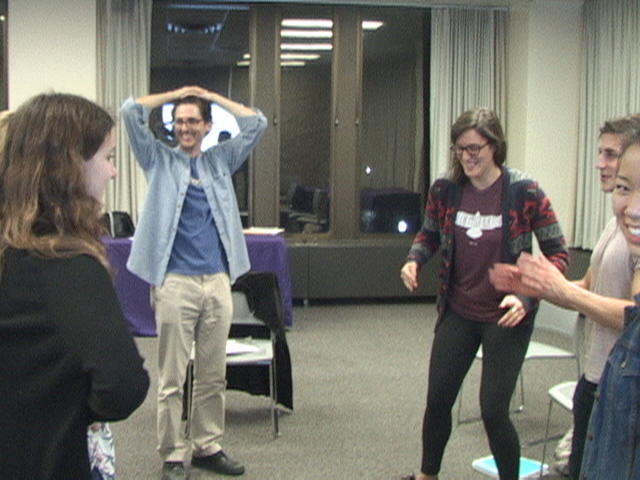 Video Editing, Acting, and Cartoons at Northwestern University! Between January and February 2017 Steven Fischer will present a video editing class, an acting class, and a cartoon storytelling workshop at Northwestern University’s Norris Center. Join the fun! Learn the basics of video editing from a two-time Emmy nominated filmmaker! This course introduces students to the role of the editor as storyteller, the history of cinema editing, and the fundamentals of editing in effective communication. This course involves hands-on Premiere Pro work. You’ll be editing, a lot! This interactive course is an introduction to acting, taught by a two-time Emmy nominated instructor in film and television! 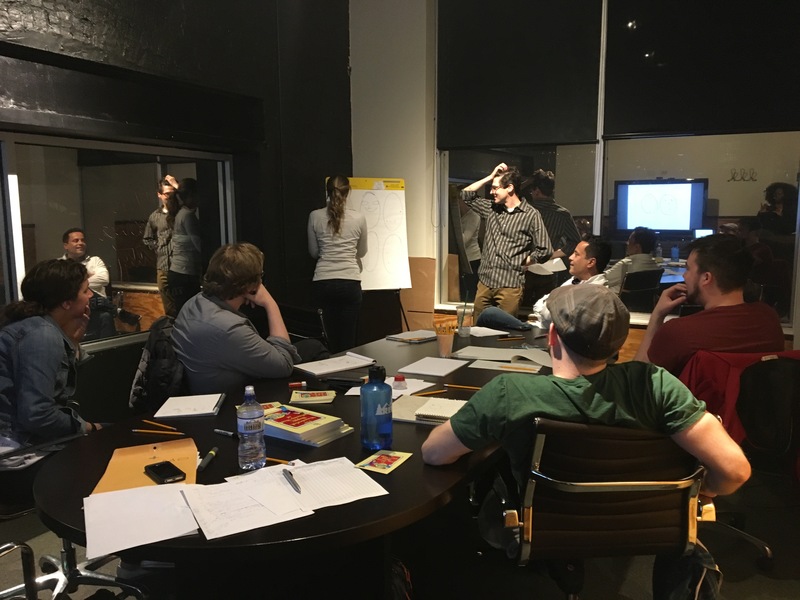 Animation and live action directors will experience the fundamentals of acting to generate performance ideas they can use to help bring on-screen characters to life. Steven Fischer’s popular Cartoon Storytelling workshop. Photo by Alicia Haywood. 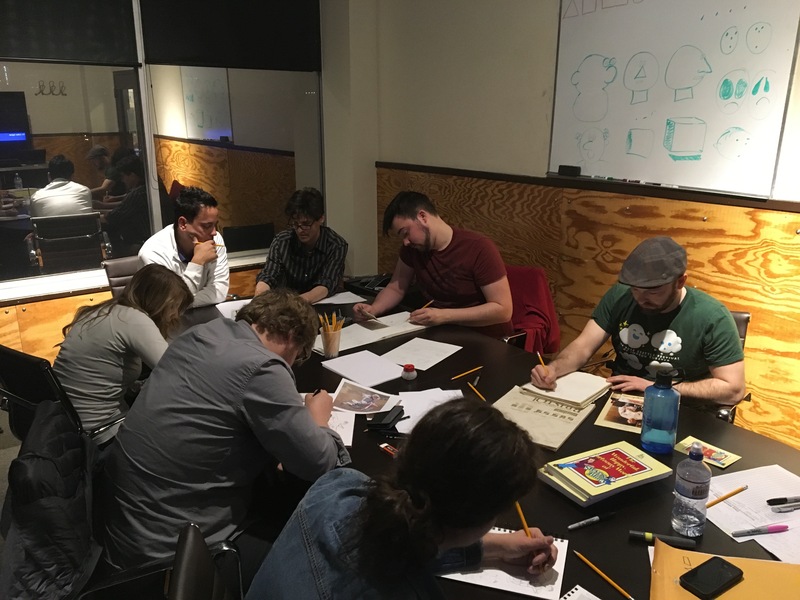 Learn the art of cartoon storytelling, effective communication techniques, and develop personal expression. This workshop will touch upon story breakdown, character development, page layout, and studies from life. Students will begin to create an original story. No previous drawing experience required – if you can create a stick figure, you can succeed! You are currently browsing the Old School, New School blog archives for November, 2016.